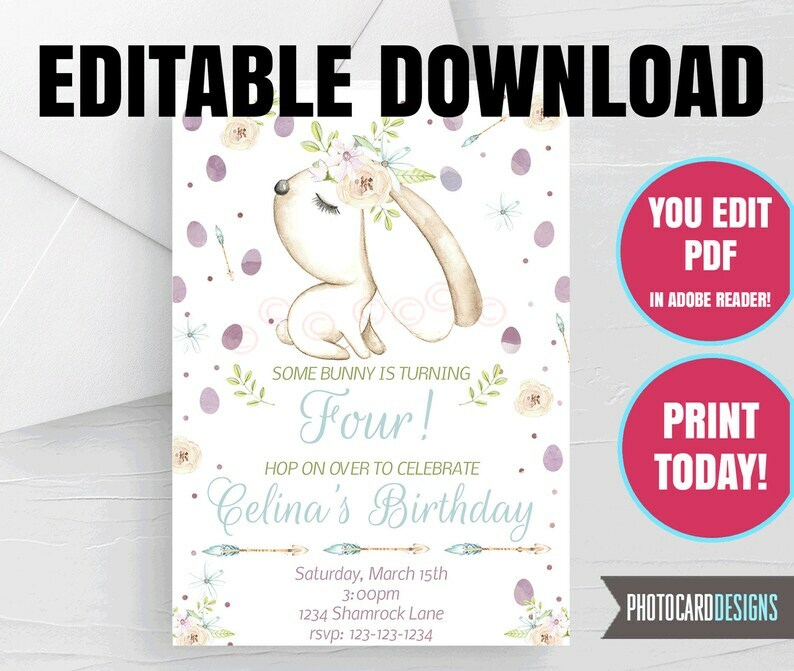 Bunny Easter Party Editable Invitation Printable DIY PDF file! Printable is 8.5x11. Don't want to edit yourself? or Do you want custom changes? Contact me, and I will set up a custom listing for you.